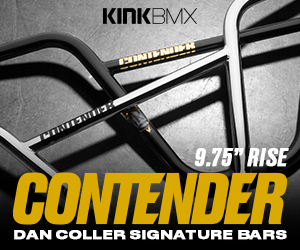 Corey Bohan, Matty Cranmer and Kieran Reilly are getting signature colorways from Tall Order! Here’s a sneak peek look at the new colorways that Tall Order will be releasing on April 5th. Corey Bohan will be getting a Grey 315 frame, Matty Cranmer will be getting a Yellow 215 V2 frame and Keiran Reilly will be getting a Pink 187 V2 frame. No word if there’s anything changing with these frames as far as specs go in comparison to the existing versions of each frame, but it looks to be just a fresh coat of paint for each of these guys! You never quite know what to expect when Scotty Cranmer cooks up a new challenge for the guys to do. This time around he’s given Big Boy, Matty Cranmer and Cory Berglar a gap to grind challenge on a Subrosa Street Rail. The kicker? He had the guys take their chains off so they basically have to run and pump to get their speed! Hit play to see how it all worked and who took the win!